Would an iPhone by any other name be as sweet a smartphone? While most of us immediately associate the brand with Apple's handset, that's not the only "iPhone" around, and a Chinese court recently ruled against Apple in its trademark dispute with a leather-goods company producing its own IPHONE products. China's Xintong Tiandi Technology registered the name IPHONE – all in caps – back in 2007, when Apple's iPhone was just making its debut in the West. It would still be a couple years before Apple formally brought an iPhone to China, and that delay gave Xintong Tiandi the head start it needed to establish its brand. Apple first started fighting back against Xintong Tiandi's IPHONE bags, cases, and purses in 2012, and in the years since has lost multiple legal battles. Part of Apple's difficulty there has been its inability to convince Chinese authorities that its own iPhone trademark was well-known domestically prior to Xintong Tiandi's use of the IPHONE brand. 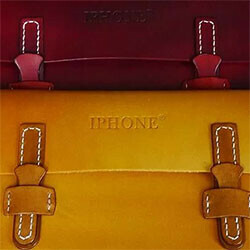 As a result, Xintong Tiandi is free to keep on making all the IPHONE bags it chooses. The company's trademark only extends to leather goods, so it's not like we're about to see shameless IPHONE knockoff smartphones – at least not from this firm. This setback is just the latest in Apple's ongoing struggles over trademarks around the world. Back in 2012, Apple was forced to pay $60 million to get the rights to “iPad” in China, and shortly thereafter we saw Apple lose a fight in Mexico over the “iFone” brand. NO it isn't. You have 2 companies that applied for the trademark of the IPHONE name. The Chinese brand legally obtained the name first, while Apple's Application was only approved in 2013. According to the court doc, the company has been selling products since 2009 bearing the iPhone name. So thus by law, this brand has established it name. Apple according to the doc was not fighting whether the brand was legit. Apple was trying to establish the fact that iPhone had been selling in the whole world as of 2007 and that the iPhone brand is well-known to be their computer based product and not this wallet even in China the iPhone is well known as a phone and not a wallet. But it doesn't matter in China. The law is, IPHONE wallets and leather products have been sellign since 2009 and is a established brand name in China and the iPhone as a hand-held computer is more established in Western countries, NOT Homeland China. Apple wanted exclusive use of he trademark iPhone and this wasn't granted and can't be, because the other brand is already established in China. If the brand had only started selling product in 2013 like Apple, then MAYBE Apple could have won. But selling products for 4 years prior gave it the established brand legality. Liek it or not its the law. Now maybe this company chose this name because they heard the Western name leaked in China. Oh well. They still trademarked it legally first. Apple still have their Chinese Trademark to use the iPhone name under item 9 of China law, that specifically uses the term as a compterized device. This is according to the court document. All Apple lost was exclusive right to the trademark which by law they didn't earn and because ist 2 different products, both companies can use the name. Its the same laws we have in the USA where Microsoft can use "Word" or "Windows" as a trademark to specific product that can be identified outside the realm of typical usage. This is why Apple could not trademark App store. Because App was not short for Apple. It is specific to the word "application" and when it comes to software, Apple could not trademark this work because it is equal to such terms as "hardware" store, "grocery" store and "clothing" store. App is a very general word. if Apple could have coined app to mean something different than software applications, they could have won a trademark usage of the term. Do you understand this? I do agree the whole thing is stupid? But China isn't like the US. China follows their laws, unlike the USA. USPTO finds Apple to have illegally use Samsung patents, and President Bedrock Insane Odama came and overturn the ruling. He was wrong, even if it was in his power to do; he had no right to go against established laws for ANY US company. I don't care who it was. Too long to read but I'm assuming it's bashing Apple. Common in China, copy even if it doesn't make sense to use the name. The thing is that iPhone is a name that should have not been copyrighted anywhere. It is short for "internet Phone", so all smart phones are technically iPhones. It is like telling Ford or Chevy they cannot call their products automobiles because someone copyrighted the name. iPod though is OK, because a "Pod" is not a common name for the original product, so other MP3 players cannot claim to be iPods. iPad is becoming a bad name, because of the Apple Pencil. Calling something you write on a Pad, should not be copyrightable. IPHONE came out before your holy Apple's iphone. And now, we can clearly see why the right way is "iPhone device(s)". Not every iPhone is an Apple iPhone Device. You feel actual physical pain every time something doesn't go apples way, don't you? Who names a leather company IPHONE? Wow, This is what our American companies get for taking all those manufacturing jobs oversea. Did Apple really think it was going to win in China? Come on we are all aware of the numerous knock offs that come from China that undercut the very American brands that they manufacture for. This happen to Ford, Cisco, Google, GM, Oracle etc...There is no American court or president to run interference for Apple. Nah, most Chinese brand names don't actually make any sense, sometimes the reason is they just make English names out of the sound of the Chinese one, other times, they just wanna show they are a good brand, with an English name, so people think they are famous in the West or some s**t.
Someone in china is about to negotiate for a big pay day. Shi**y Chinese gov is making Shi**y decision even though this is clear that this Shi**y Chinese leather-goods companyis using Apple's name. The decision is quite sound because Apple in it's attempt to force this company to stop selling it's leather goods is overreaching with it's trademark claim especially since this company already established the name before the Apple iphone and the company is not trying to deliberately sell phones which would confuse consumers. What's clear is that Apple was trying to sue a company that had the name IPHONE trademarked before they did. This is not the first time Apple has done something like this (and LOST), as pointed out in this very article. It doesn't make a difference if you or others here don't think it's right, the facts are the facts. This reminds me of when Apple took Amazon to court over the name "App Store". They lost that one, as well. I hope Apple has to pay out some big time cash for the use of the name in China. HAH! Even Communist China is a hater of Apple. HAH! I would like to see the trademark filing though. Me too. Although, it does say that their use of the name "IPHONE" is in all caps. Chinese company comes up with the name first. Apple tries to stop them from using the the name they came up with first. Chinese court sides with the company that came up with the name first. You think that's a bad decision. You and Mxy should get together and have a good cry. This actually isn't unprecedented. 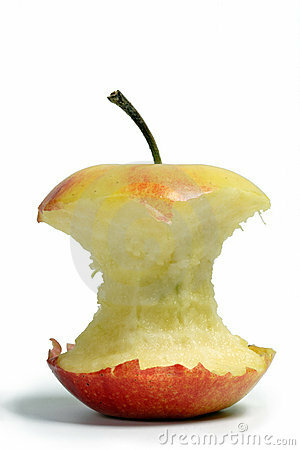 Apple stole its name from Apple records, the Beatles' music company. Apple Records sued, and as part of the settlement, Apple agreed not to ever sell music. Good as their word, like always. HA! You can't win in China. When theer are distunct products that share the same name, how would you ever get confused? an iphone as a gadget is not equal to an iphone that si a lether wallet or bag. Sure if you just use "iPhone" by itself, then yes you could be confused. So now IPHONE can make a leather case for the iPhone and peopel I guess will think they will be buying 2 iPhones? lol Apple you're hilarious. Then you stole the iPad name. You stole the iPod name. You stole the McIntosh name. You stole the Apple name. STEAL STEAL STEAL STEAL STEAL. Yet Jobs had the gall to say Microsoft has no originality in their products? Yet all yoru early products stole ideas and concepts from Braun? Or how ALL your products name are ripoffs of someone else? Even stole the IOS name. Yes Microsoft uses "Windows" as a trademark. No one can sell software bearing the Windows name. But if you are in the business of selling "windows", Microsoft wont try to stop you. Oh but not Apple. We have the iPhone name and thus everyone on the planet will get confused even if its distinctly not the same product. Same argument Microsoft gave about SkyDrive, but they lost. They shouldn't have lost that. Man... You have some issues. Go outside sometimes. Why name bags and cases IPHONE anyway that just seems stupid because you know their bags and cases lol.